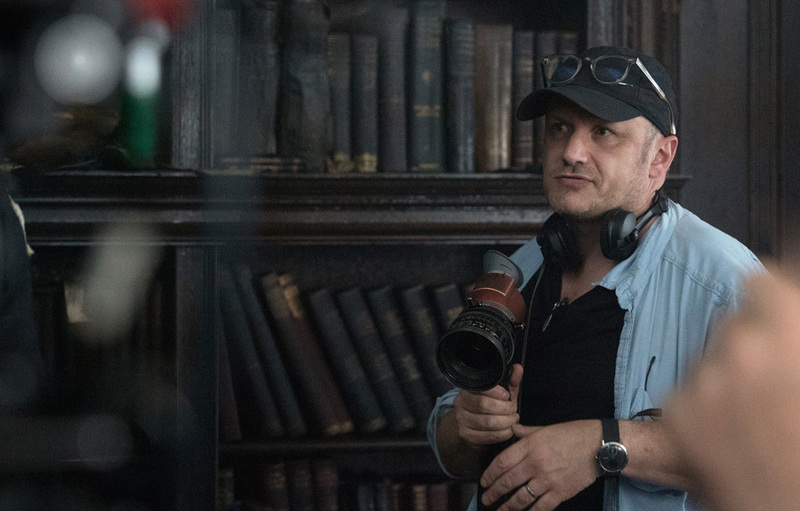 After the success of his fifth feature film Room—which was nominated for four Academy Awards®, including Best Picture and Best Director—Lenny Abrahamson was eager to get back to The Little Stranger, his adaption of Sarah Waters’ acclaimed novel. As seen through the eyes of Dr. Faraday (Domhnall Gleeson), The Little Stranger chronicles the strange happenings at Hundreds Hall, the decaying estate looked over by the aristocratic Mrs. Ayres (Charlotte Rampling) and her adult children, Caroline (Ruth Wilson) and Roderick (Will Poulter). As he attempts to untangle what is psychological from what is supernatural at the Ayres' home, Faraday finds his own fate being inextricably bound to the family and their now fallen estate. We talk with Abrahamson about what haunted him about Waters’ novel, the complexity of cinematic adaptation, and how the film keeps the viewer guessing until the very end. What was it about Sarah Waters’ novel The Little Stranger that ignited your imagination as a filmmaker? From the first few pages, I was captivated by the world she places us in, this postwar Britain where the class system is starting to fall apart. Waters is such an insightful chronicler of human emotions and relationships. In the novel, she combines generic elements, such as the ghost story, with stuff that is way richer in terms of character. As a filmmaker, the idea of making a movie that did that was really interesting. It always starts with character for me, finding an emotional connection with characters. I felt for Faraday and Caroline hugely when I read the novel. Ultimately it was the book's double whammy of richness and loveliness that drew me in—it’s both a ghost story with way more character depth than normal and a character drama with this added frisson of something else. "I had to cinematically make the things happening at the house be both chilling and ambiguous." The novel is narrated in the first-person from Faraday’s point of view. How did you translate that perspective to film? Adapting a book with a first-person narration is one of the hardest things to do. Room was the same. It was told from the perspective of the boy. How do you mirror that perspective, especially with a narrator like Faraday who is essentially unreliable? So much of the novel is second hand, with Faraday recording what he heard, like “I'm with Roderick, who tells me this story. Apparently what happened was..." You can be chilled or compelled by what Roderick says, but you aren't sure how much of it is true. You can't do that in a film. You have to show the thing. And the minute you show the thing, it becomes real. I had to cinematically make the things happening at the house be both chilling and ambiguous. Were there other films with a similar tone that helped you? I watched some classic films like The Innocents and The Haunting and read books like Henry James’ The Turn of the Screw. Most of the contemporary stuff was a little too full on for what I was trying to do. If you are trying to make something that is more of a hybrid, that uses generic elements in a different way, it is hard to find precedents. Instead I worked with my cinematographer and designer to find our version. We did pull references from all sorts of different films, many [of] which had nothing to do with the supernatural. They were mostly about shooting interiors in a very atmospheric way. If the house is a character in the film, what kind of character is it? I see the house as being very empathetic but not in a good way. The characters’ strong emotional forces end up getting absorbed into the house. The house is very in tune with Faraday, so if Faraday is feeling angry or lost or dislocated, the house reflects that back. It becomes a reflection of what is going on for all the characters. I didn't want it to be just a bad house, because we have all seen that before. The post-war period in Britain with the class system being turned on its head was very important in the novel. How important was it for the film? It is very central to it. The mechanics of the British class system is fundamentally operating inside Faraday. It’s what causes Faraday to be who he is. As a child, he yearned to be part of this world that seemed so perfect compared to his own. But he knew even as a child that this desire could never be fulfilled because the class system is too rigid—the upper-class didn’t admit people from the lower classes. That is a big part of what drives the story—an unfulfilled longing that has never been processed. While The Little Stranger appears on one level as a ghost story, there seems to be more going on. The force that separates people from each other in this film is class. But really what the film is saying applies to any society that values one group of people over another. That separation of people leads to a profound destructive malaise in both the people who benefit from it and those who suffer. There is a debasement when various groups are separated, whether the difference is sexual, racial, economic, or in terms of birth. Faraday represents—all of them do really—but Faraday is the greatest example of what that separation does to a person. In a way, Faraday is a victim. His plight moved me in the book and I hope, despite all his character flaws, he has the capacity to move people in the film.